Stacked Bows – Smileybug Bows & Co.
* A stacked bow that’s perfect for Back To School time or for anyone obsessed with apples. 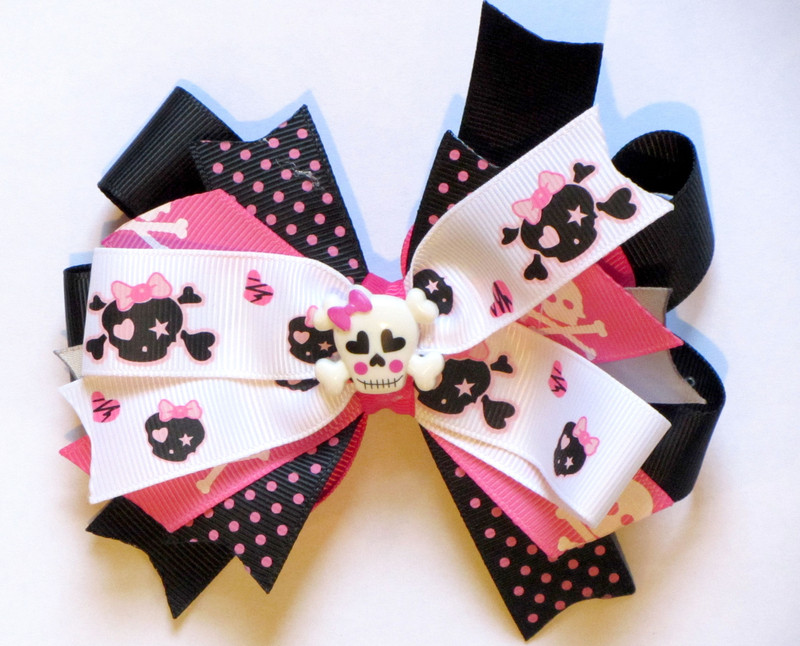 Complete with a cute apple button topping the bow. * Bow measures 6″ wide by about 5″ high. * The safest bee you’ll ever have near you. He’s pretty cute as well. * Bow measures 5 1/2″ wide by about 4″ tall. * Here are two different versions of our favorite sport. Look at our other listings to view the different versions. * Bow measures 5″ wide x 3″ tall. * For the baseball fans in the house. 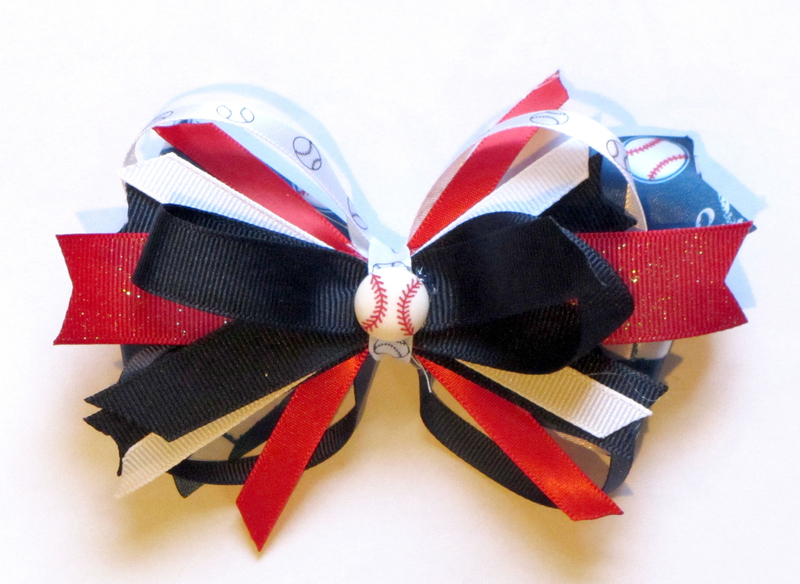 Perfect bow to wear to all those baseball games and the colors in the bow will match with almost any team. * Bow measures 5 1/2″ wide x 3″ tall. * Love the whole pirate craze? 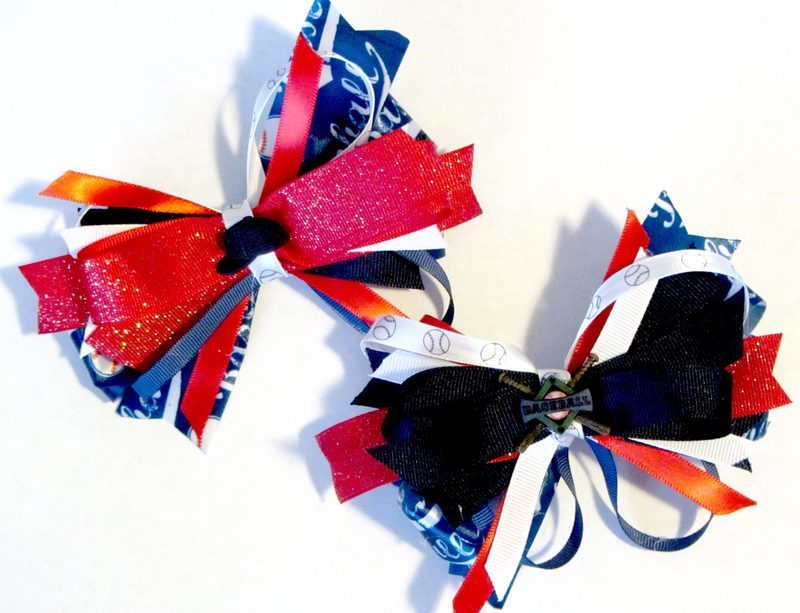 This is the perfect bow for you. Classic color combo and a cute Jolly Roger top it all off. 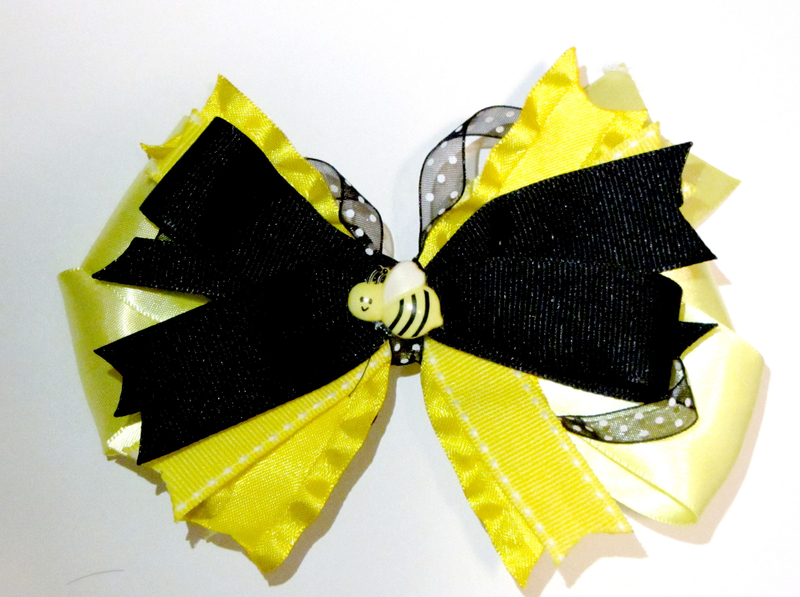 * Bow measures 5″ wide x 3 1/2″ tall. 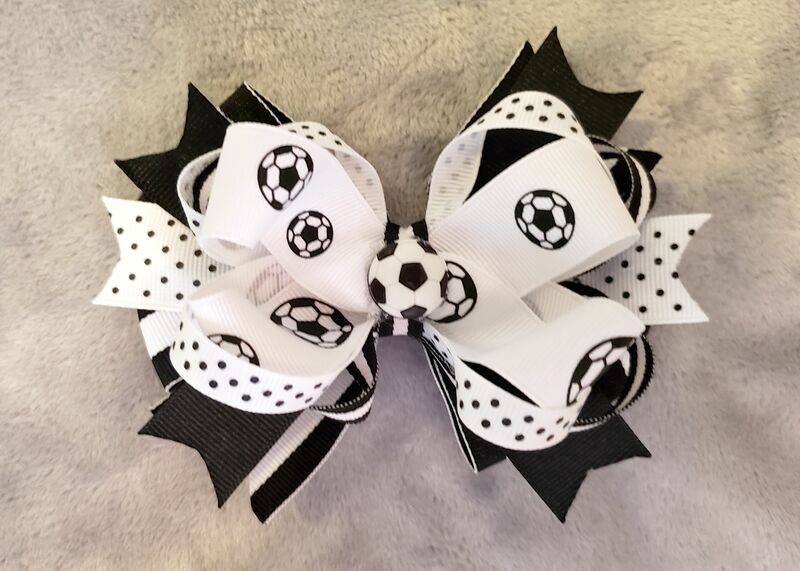 * Soccer players and soccer lovers will all love this bow. It’s the perfect way to show off your love of the sport. * Bow measures 5″ wide x 4″ tall. 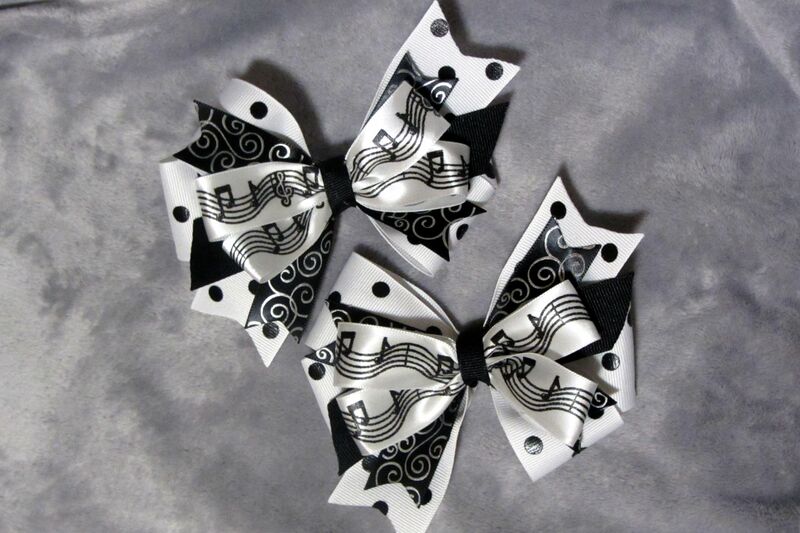 * The perfect bow for music lovers everywhere. It doesn’t matter what your music preference is, with the classic black and white look – it’s sure to please all. 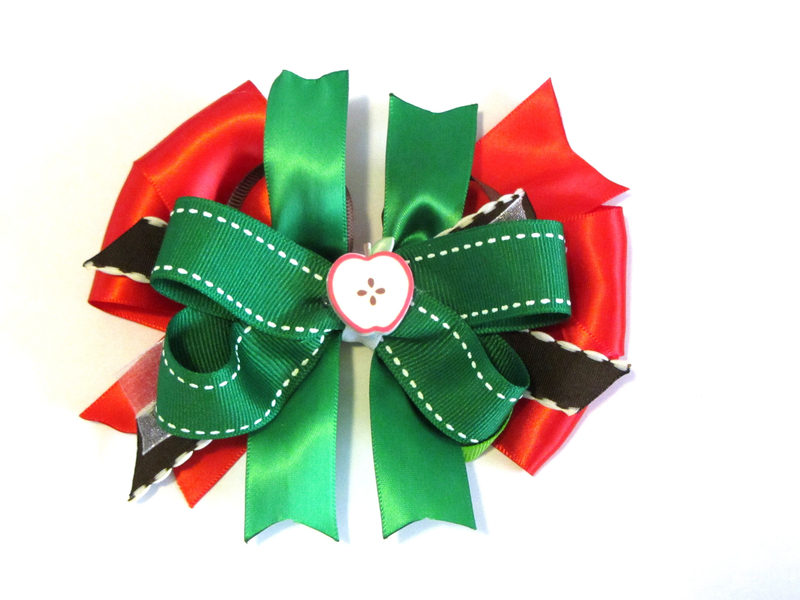 We have more Stacked Bows located in our Holiday Bow collection.